There has been an increase in the number of hours we sit in front of a computer for leisure and work. Does your job require you to stare at a computer for hours at a time? One study found that workers sitting for 95% of the day, and/or worked with their neck at 20˚ or more in flexion for more than 70% of their working time, had a significantly increased risk of neck pain (http://oem.bmj.com/content/58/3/200.short). Place your monitor so you are looking at it straight ahead or down at no more than a 15˚ angle. The monitor should be 18-24 inches away. The angle of your elbows when typing on the keyboard should be > 90 degrees. 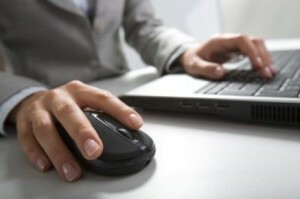 An ergonomic mouse or keyboard may also help. A laptop is always non-ergonomic; because the monitor and keyboard cannot be separated one or the other is in the wrong position. If you always use a laptop think about getting an auxiliary keyboard. Footrests should be used if your feet do not rest flat on the floor. If you use a phone frequently get a headset so you will not have to hold the handset to your ear. Aside from these changes, you may also consider doing limbering activities such as small stretches throughout the day – shrug your shoulders a few times, move your arms above your head, or get up and walk around your chair. Studies have shown that obese patients have more problems with musculoskeletal pain than the general population (http://bit.ly/Hh3usQ). Obesity and pain show a strong relationship even when insulin resistance, inflammation, and pain-related comorbidities are accounted for (http://1.usa.gov/17jGHqj). A study of 215 fibromyalgia (FMS) patients found that obese patients had greater pain sensitivity, poorer sleep quality, and reduced physical strength and flexibility (http://bit.ly/18TVYy4). If you are in pain and overweight, losing weight may help reduce your symptoms. 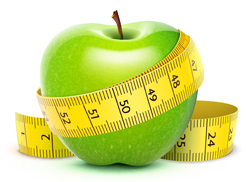 Though this can be achieved through simply taking in fewer calories than you expend, studies have shown that diet and exercise are significantly more effective together than either intervention alone (http://bit.ly/1ezkOEP). Adjusting your lifestyle doesn’t have to be drastic! Start by making healthy swaps in your diet: try replacing white bread with whole wheat bread, or try using olive oil or canola oil instead of butter. Pick up a fruit or vegetable that you wouldn’t normally buy and figure out ways to incorporate it into your meals for the week. Exercise habits can evolve with a little time and effort. If you normally walk five blocks in one day, see if you can increase that to six or seven. Though weight training can be beneficial in building muscle strength and bone density, aerobic exercise is more likely to be helpful if your goal is weight loss. Simply increasing your physical activity and making smarter food choices can help you lose weight and decrease your pain. Last week, we discussed some of the psychological components of pain, and the potent effect emotion and attitude can have on the day-to-day management of your pain. Many patients coping with chronic pain experience kinesiophobia, an irrational fear of reinjuring oneself or exacerbating pain by participating in physical activity. One study of patients with foot and ankle pain found that out of movement-related fear, pain intensity, and range of motion deficit, fear was by far the greatest predictor of disability status (http://1.usa.gov/1fXzxN5). Clearly, fear of movement plays an important role in the quality of life of patients living with pain. Managing pain more successfully as reflected in continuing to work and be involved in life is associated with less fear than those with lower levels of functioning when all other metrics are also considered. A review of seven studies which examined patients with chronic musculoskeletal pain who chose to continue working found that these patients were significantly more likely to have low scores for both emotional distress and perceived disability (http://1.usa.gov/H4v9gc). Treatments that address both the physical and emotional aspects of pain can produce better outcomes. A study of 130 patients who had undergone a spinal fusion found that patients who participated in a rehabilitation program that included cognitive-behavioral therapy to address kinesiophobia and catastrophizing as well therapeutic exercise faired significantly better than those who participated in a program consisting only of therapeutic exercise. The psychological intervention was found to reduce dysfunctional thoughts and enhance quality of life for up to one year after treatment ended (http://1.usa.gov/17M2T91). It is apparent that attitude – especially beliefs about movement – impacts the quality of life for patients in pain. Those who maintain a positive outlook and a healthy perspective on movement, though not necessarily reporting reduced levels of pain, do show an increase in function. How does one’s psychological state affect outcomes of pain treatments? Several different variables have been studied: Catastrophizing, depression, kinesiophobia, and self-efficacy. Catastrophizing is a type of dysfunctional thought in which the patient exaggerates the severity of a situation. Examples of catastrophizing are thoughts like “I can’t take it!” “What did I do to deserve this?” “What’s the use?” “I might as well be dead!” One study of patients entering a multidisciplinary pain treatment center found that the extent to which a patient catastrophized was a better predictor of disability status than pain intensity (http://bit.ly/1aVCGa6). A separate study of fibromyalgia patients found that pain catastrophizing was correlated with an increase in brain activity in areas related to attention to pain, anticipation of pain, and motor control (http://bit.ly/17y4Up8). This suggests that catastrophizing affects the intensity with which patients perceive pain. Depression and chronic pain often coexist. Both conditions can markedly affect a patient’s health, motivation, and overall quality of life. Patients with depression often experience feelings of helplessness, fatigue, and hopelessness – all feelings which can impair treatment outcome. 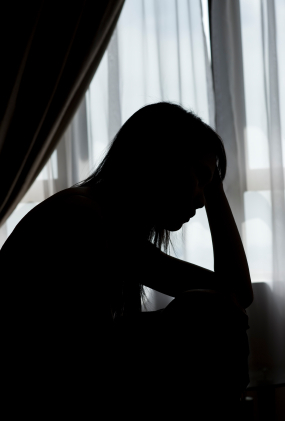 Depression and pain are also linked biologically through 2 common pathways: the serotonergic and noradrenergic systems (http://bit.ly/1gqi29f). The neurotransmitters serotonin and norepinephrine modulate pain transmission and also play key roles in the development of depression. Therefore, treatments that target these neurotransmitters, such as tricyclic antidepressants, and SNRIs (serotonin/norepinephrine reuptake inhibitors) can be helpful for both conditions (http://bit.ly/1fID6GQ). Kinesiophobia is fear of movement based on the belief that activity will result in re-injury or exacerbation of pain. Hi kinesiophobia scales result in less activity and interfere in effective rehabilitation (http://bit.ly/19RClca). Depression often co-exists with kinesiophobia. Self-efficacy in the context of chronic pain refers to confidence in one’s ability to cope and function despite persistent pain. A study of patients with an acute whiplash injury found that patients with less belief in their ability to manage their life in the face of pain were significantly more likely to have their injury develop into a chronic condition (http://bit.ly/1bylac/). A separate study of 45 low back pain patients found that higher self-efficacy predicted better overall functioning and decreased levels of pain at 6 month follow-up (http://bit.ly/19RClca). Psychological factors play an important role in evaluating and treating pain. When usual treatment is not progressing well, assessment and treatment of emotional factors may help the patient succeed in finding pain relief. Physiological and biological mechanisms do not address all the variables contributing to persistent pain. One of our colleagues, Ronnie Gonzalez, a bereavement counselor, sent us a comment about her clients, who often felt physical pain while struggling with the loss of a loved one. Very often, emotional stress and negative thoughts can manifest physically as tension in the muscles, which is one of the most common causes of pain. Constant exposure to stressors can cause the development of musculoskeletal pain in even healthy individuals (http://psycnet.apa.org/journals/ocp/15/4/399/, http://iospress.metapress.com/content/w8147125250687x5/) and is therefore considered a risk factor associated with the onset of pain. fMRI (functional magnetic resonance imaging) studies of pain patients demonstrate that negative thoughts can excite areas of the brain associated with pain perceptions and intensify the sensation of pain. Studies have shown that painful muscles which are tense, especially during times of stress, can stay contracted and tight even after the stress or negative feelings are long gone. This causes the body to be more susceptible to pain. Breathing and stress are also linked. When we suppress our feelings, we generally hold our breath. Depriving our muscles of oxygen will cause it to hurt. The advice of taking deep breaths when we’re stressed or anxious is not unfounded. We see that in some patients who have central sensitization, treating the peripheral pain generators may results in a decrease or elimination of the widespread pain. Widespread pain is often addressed with medication. It is common for a patient to be given an anticonvulsant, such as pregabalin (Lyrica) or gabapentin (Neurontin), or a serotonin-norepinephrine reuptake inhibitors (SNRIs), such as duloxetine (Cymbalta) or venlafaxine (Effexor). These drugs affect the neurons transmitting pain-related signals in the central nervous system. Another possible target in the nervous system is the glial cells. The glia are non-neuronal cells that provide support and protection for the neurons. 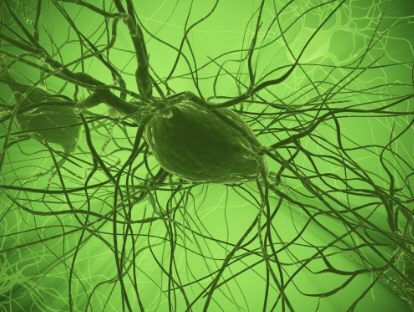 90% of the central nervous system (spine and brain) are made up of glial cells. Two cells types, microglia and astrocytes, recently have been found to play a role in pain processing. These two types of cells are stimulated in response to damaged or dying cells. Astrocytes produce inflammation, while microglia initiate both inflammatory and anti-inflammatory activity. An inflammatory response in the microglia results in pain-producing chemicals, adding to the patient’s overall pain. Chronic pain and opioids, such as morphine and oxycodone, can also stimulate the microglia to produce these same pain-producing chemicals. This may be one of the reasons why opioids are ineffective in patients with long-standing pain, as with fibromyalgia (FMS). Interestingly, drugs that block opioids, such as naltrexone, in very small doses have been found to be effective in decreasing pain in FMS (http://www.ncbi.nlm.nih.gov/pubmed/23359310). The mechanism appears to be blocking the pain producing effect of the microglia. Since the doses are so small (~4mg/day), the typical blocking of the mu receptor (the receptor that is known to be typically stimulated by opioids) doesn’t occur. What we often find as a result is pain relief and a decreasing need for opioids. Considering the possible effects of central sensitization may affect the treatment plan (and in turn the outcome) for a patient in pain. Let’s take a look at a contrasting scenario in my next blog. I reread my blog on misleading diagnoses and central sensitization, and it confused me, so it must have confused some of you. The point was that if so many of us have different interpretations of pain and how to treat it, we can’t all be right. I want to discuss specific pain syndromes where it is unclear what causes the pain. We have batted around some causes and possible explanations for Nonspecific Low Back Pain. I want to explore Fibromyalgia Syndrome (FMS), a condition characterized by widespread, diffuse pain on both sides of the body, above and below the waist. In order to be diagnosed with FMS, patients must experience pain at a minimum of 11 out of 18 specified tender points, stiffness in joints, extreme fatigue, and difficulty sleeping. Due to the diffuse nature of FMS, it is often difficult to pinpoint a specific pain generator. In order to understand why we have problems identifying a significant source of pain, I am suggesting that we explore and understand central sensitization – the phenomenon of increased sensitivity of the central nervous system to all stimuli because of tissue damage somewhere in the periphery. This means that an injury at a peripheral site – for example, the hip or shoulder – can cause sensitivity in the central nervous system, which controls how we perceive and respond to stimuli. This causes too much response for the amount of input – which means someone who is sensitized will experience pain in response to a stimulus that normally would not cause pain. I Googled back pain and got 649,000,000 hits. I am sure that the opinions of all those who posted their successful approaches were in there. Overall I would say the consensus, based on cost and outcomes analysis, is that we do too much treatment of low back pain. Back pain is a symptom that may be caused by a variety of factors. Deconditioning, muscles, tendons, operable lesions of the skeleton and neuraxis, are all possible causes. It is important to recognize that all the clinicians who posted their very different theoretical models and treatment approaches, believed they were achieving success with a majority of their patients. How could this be true unless each clinician was treating a unique subgroup of back pain patients? A recent article (http://bit.ly/1fjuCUT) demonstrated that pain clinicians publishing their outcomes reported an approximately 300% greater success rate than non-pain clinicians reporting on the outcomes of the same procedures. We are invested in believing that what we do works. I try to consult the Cochrane Library of Systematic Reviews (www.thecochranelibrary.com) to get a sense of the validity of various approaches for the treatment of back pain. 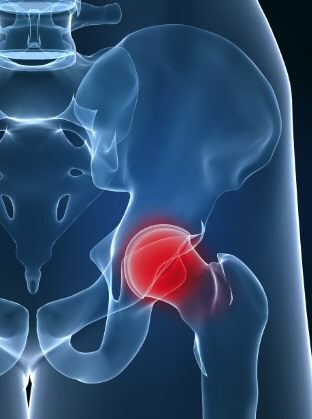 The literature on prolotherapy, trigger point injections, nerve blocks and surgery for chronic low back pain uniformly is found to be inadequate to make a case for the routine use of these approaches. We need randomized controlled studies that report on function as well as pain intensity and with adequately long follow up data to improve our ability to know what works and for whom. Do you believe that long acting opioids should be used routinely when patients are taking round the clock meds? A recently published study http://bit.ly/18y6RXL concluded that long acting but not short acting opioids were associated with hypogonadism in men. Boxed warnings on long acting opioids now read that if short acting opioids are effective they should continue to be used rather than switching to long acting. Without large studies to prove a concept and insure the absence of unwanted effects, the standard of care has been that more expensive long acting opioids were preferable because they were assumed to be less likely to lead to abuse and addiction. I experienced this opinion as a mandate when a mail- in pharmacy my patient was using, said that if I didn’t write for long acting opioids they would no longer dispense meds to him. Opinion based guidelines, rather than evidence based guidelines, unfortunately is driving much of the practice of pain medicine. It is important to understand what any diagnosis means in relationship to your back or leg pain. I have heard from a number of group members who have been diagnosed with spinal stenosis. The diagnosis is often made based on what is found on a CT scan or MRI without the expected corresponding signs and symptoms. It is important to understand what any diagnosis means in relationship to your back or leg pain. Spinal stenosis is a narrowing of the space formed by the bony segments that together make up the vertebra (the bones of the spine). The space in each vertebra is connected to the vertebra above and below to form the spinal canal, through which the spinal cord passes. Narrowing of the canal in the lumbar region, called lumbar spinal stenosis, could squeeze the spinal cord. When you are standing up, the curve in the spine makes the narrowing worse and may cause pain radiating to the leg. Many patients found to have narrowing don’t have the signs and symptoms that would indicate that their back and leg pain was caused by the narrowing. Bending over when you walk, having more pain if you straighten up, and having to wait a few minutes when you sit down for the pain to go away, are all symptoms that suggest the spinal stenosis was truly the cause of the pain; just finding narrowing with imaging isn’t enough. Other imaging diagnoses such as degenerative disc disease, degenerative osteoarthritis, bulging or herniated disc, and facet arthropathy, may also be misleading. Just because there is an anatomic finding on an image doesn’t mean it is the cause of the pain. If some form of exercise relieved the pain, the most reasonable explanation would be that much of the pain was related to soft tissue, such as muscle and tendon and not to the imaging diagnoses. An example of the importance of a multi-disciplinary approach to persistent pain is the patient with Kinesiophobia (fear of movement associated with anxiety related to an injury). Just as stress and anxiety can make pain worse, kinesiophobia can prevent a patient from recovering to their full extent and achieving relief from muscle pain. Consider the case of a 50-year-old woman who was visiting the Norman Marcus Pain Institute for the treatment of her foot and ankle pain. The pain started two weeks after a fall, and had plagued her for five months. Because she felt that she was unable to walk without support, she used a walker or a cane. She complained of pain in her heel and ankle and in her Achilles tendon. Her foot was cold and clammy. Attempting to move her foot up and down and applying pressure to the painful areas caused the pain to become much worse. She was overwhelmed with her pain and fearful that she would never get better. With her continued pain, tenderness, stiffness, and cold and clammy feet, her doctor told her she had RSD and needed to see a pain doctor for medications and possibly nerve block injections. When she came in to consult with Dr. Marcus, he wanted to see if he could help increase the range of motion in her ankle. He used Ethyl Chloride spray to briefly make the area cold and numb. She moved her ankle and her pain was gone! Once she felt relief from her original pain, Dr. Marcus asked her to stand. However, she couldn’t because she was too weak. Five months without walking had weakened her muscles and made her unable to walk. She needed strengthening exercises, so she was referred to a physical therapist that helped her re-learn her walking technique while strengthening her muscles. She is now without pain because she no longer holds her ankle stiffly. Her fear of pain and her belief that not walking or moving her ankle would protect her caused her to become disabled, relying on her walker or cane. This could have easily been mistaken for RSD and lead to unnecessary, expensive and painful treatments. She had kinesiophobia, or fear of movement. This is an important factor when a patient is trying to overcome the effects of a painful injury. The emphasis on procedures vs. cognitive and non-interventional approaches is a driving force in producing unsustainable costs of care in all areas of American Medicine. A recent study in JAMA Internal Medicine revealed that some procedures are reimbursed 3-5X more than cognitive services. The insurance industry appears to have inadvertently affected the delivery of care for patients in pain by incentivizing expensive interventional procedures and shortchanging all others. In the past 40 years the field of Pain Medicine has shifted dramatically. A Thermidorian Reaction has occurred in the pain treatment community. The failure of surgical interventions for many chronic pain problems was the foundation for the original mission of clinicians treating these patients. We were aware that focusing on a putative pain generator in the periphery or relying on opioids to minimize pain and suffering, often produced sub-optimal results. We have reverted to the position against which we originally revolted. The platinum standard of care, the multi-disciplinary pain treatment center has been supplanted by high tech expensive interventions, often of questionable value (cost divided by effectiveness). How can we take advantage of technological innovation in Medicine whilst at the same time continue to value what is simple and works well? This will require a shift in how we pay for medical services. As we have seen when there is a large disparity between pay scales in different medical disciplines, human nature will oblige many new graduates to avoid the least reimbursed fields. Ultimately society suffers. If exercise can eliminate back pain in some patients who appear to have an operable lesion how can we improve the chances that it will be tried first? If we do not collectively come up with an effective solution, someone else will. What are your thoughts? Nerve blocks and other invasive procedures. Some patients could be helped with one or both of these approaches, but many patients in need of physical therapy and psychological services that had been integrated in a comprehensive treatment plan, would no longer receive optimal treatment. 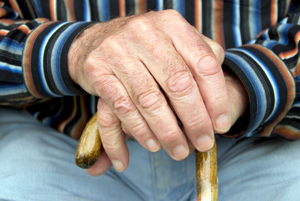 Reimbursement would be the driver of care rather than the needs of the patient. Centers could not stay in business and provide care that insurance companies would not cover. The shift toward procedures became an accepted standard of care and new organizations of pain physicians were formed whose membership focused predominantly on invasive procedures. The emphasis on medication management was in part fueled by the belief that most patients with persistent pain could be treated successfully and safely with strong pain medications, such as opioids like morphine and oxycodone. We have a better understanding now of problems encountered when we freely offered potent pain medications to too many patients. Strong pain medications not only treat pain but also affect mood. Many patients with or without pain have anxiety and/or depression. Pain medications can provide emotional relief and patients would take them consciously or inadvertently for psychological rather than pain relief. Prescribed pain medication have become more popular than street drugs such as heroin for people who were drug abusers and some patients feigned pain and sold the prescribed pills for a handsome profit. The cost of services for the treatment of back and neck pain, now with many less comprehensive multi-disciplinary centers, has nonetheless continued to rise at an alarming rate. Next time let’s look at the phenomenon of unintended consequences. John Bonica, M.D. a world renowned anesthesiologist at the University of Washington in Seattle was the individual most responsible for the creation of a new specialty, Pain Medicine. In 1977 The American Pain Society was founded and became the United States national chapter in the International Association for the Study of Pain. Complicated difficult to treat pain patients were usually not successfully treated by a physician representing one medical discipline and thus the multi-disciplinary pain treatment model was created. Clinicians observed that patients with persistent pain had misconceptions about their condition that inhibited their ability to recover. Patient would frequently say “ if I have pain it means I am harming myself “ resulting in the avoidance of activities that produce discomfort and eventually eliminating many important activities in their life with resulting deconditioning, depression, drug use, dollars spent, and ultimately disability. Pain becomes the focus of life and the more it is pondered the worse it feels. Multi-disciplinary teams composed of a pain management physician, psychiatrist, psychologist, social worker, occupational therapist, physical therapist and pain team nurses were created to address all of the factors associated with perpetuating the patient’s inability to function. Multidisciplinary pain centers provided weeks of intensive full day treatment programs with remarkable success in restoring function to patients disabled with persistent pain. 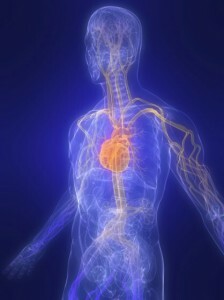 These confounding problems appear to represent two opposing and confusing phenomenon: CS and DNIC [currently referred to as conditioned pain modulation (CPM)] (http://bit.ly/1aVuish). Do these issues enter into your evaluation and treatment protocols? Use of recommended NSAIDs and APAP as first line drugs decreased by ~35% whilst not recommended opioid use increased by ~50%. Not recommended referral from PCPs to specialists for back pain increased by ~106%. Not recommended use of imaging increased ~50% for MRI and CT and for x-ray remained the same. Is this a problem? If so, how should it be addressed? I was interviewed, on Doctor Radio on Sirius XM. One of the callers told us that after she had spine fusion her pain was eliminated but if she didn’t do exercises at least every other day her muscles above and below the surgical site would tighten up and pain would begin to return. Even when surgery is indicated for back pain, proper conditioning of the postural muscles is still important. If she didn’t have a good physical therapist and she wasn’t motivated to doing her exercises her surgery might have been considered a failure, another Failed Back Syndrome. Too often the need to address muscle health is overlooked in the treatment of persistent pain problems. As I emphasize in End Back Pain Forever, exercise and physical conditioning should be taught in grade school and encouraged throughout our life. Some doctors estimate the national rates of unnecessary hysterectomies and back surgeries are even higher than the 25 percent cited by state health officials questioning the Redding area’s high rates of the procedures. Dr. Ernst Bartsich, a clinical associate professor of obstetrics and gynecology at Weill Cornell Medical College in Manhattan, N.Y., said as many as one in three women in the U.S. has had her uterus removed by the time she’s 60. That number increases to one in two by 65. Bartsich, an outspoken critic of what he calls the overuse of hysterectomies, said he believes that 85 percent of such procedures could have been avoided through less invasive methods, such as removing painful fibroid tumors from the uterine wall or through medication.